Experimental data on the low-energy high-current electron beam initiation of some energetic materials in the presence of a nanosized inert powder (copper oxide) are reported. The resistance of the energetic material + inert admixture composition to the action of the pulsed electron beam is demonstrated to fall dramatically at a certain admixture concentration. Original Russian Text © A.A. Lukin, V.A. Morozov, S.A. Rashkovskii, G.G. 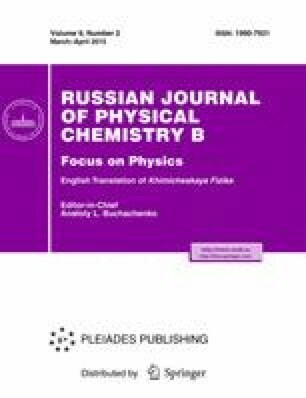 Savenkov, 2015, published in Khimicheskaya Fizika, 2015, Vol. 34, No. 4, pp. 69–75.